Confronted by cars, motorbikes and tuk tuks on the roads of Cambodia operating with little apparent appreciation of internationally established road etiquette, one could be led to believe that the country does not have much in the way of traffic rules. You wouldn’t know it, but Cambodia is not short on traffic laws. Driving against oncoming traffic, making new ‘lanes’ at traffic lights, parking where one pleases, and my favourite, pulling out into traffic on a motorbike at full speed without looking to see if anything might be coming, are all everyday occurrences on the increasingly crowded roads. And they are all against the law. For most international drivers in Cambodia, the single most common cause for being pulled over is driving with lights on during the day. While I must commend the diligence of the police, according to Article 27, point 1, subsection D, driving with running lights on is not a criminal offence. Good luck telling a police officer this though, as they seem not to be aware of this change to the old rules that banned all lights during the day (unless in bad weather). Complaints about the country’s driving standards are nothing new, but the comprehensive 2016 Traffic Law sets out the rules of the road quite clearly. It covers such topics as when to use indicators, when overtaking is allowed, and speed limits. It even empowers police officers to pocket a greater percentage of fines in an effort to address pervasive bribery issues and to encourage them to crack down on rule breakers. Almost two years later, traffic—and traffic transgressions—appear to have only gotten worse. While lumbering Lexus SUVs have impunity by dint of the obvious wealth of the owner, when it comes to Cambodia’s roads it often seems as if no one knows, or follows, the laws. Part of this is probably due to the fact that users of motorbikes with 125cc engines or less—which make up a large percentage of road users— do not need licences. That means no formal lessons and no test to pass. Not that the drivers of cars, vans and trucks seem to be much more knowledgeable! Parking on the sidewalk, while often a necessity in cities like Phnom Penh with its woeful parking allocation, is punishable by a 25,000 riel ($6) fine. Rather than slowing down at minor road junctions, many drivers prefer to simply blast their horns and hold their breath. 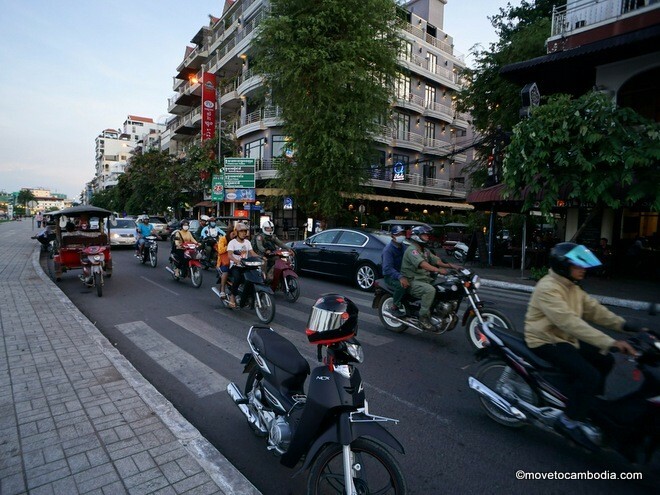 As well as making any apartments near a junction a noisy place to try and sleep, it is against the law to use horns at night (lights should be flashed instead) and motorbikes face 15,000 riel ($3.50) fine, with cars again up for 25,000 riel. Motorbike riders face a number of specific rules. In addition to being required to wear a helmet (even Prime Minister Hun Sen), the 2016 law say that now passengers are also required to wear helmets. Anecdotally it seems that helmet wearing has increased, at least in Phnom Penh, and those seeking to avoid the 15,000 riel fine have been rather creative, wearing construction headgear and bicycle helmets to meet the law, which didn’t specify what type of helmet or any required safety requirements. Steering one’s bike without using both hands, or with one’s feet, faces a 20,000 riel fine. 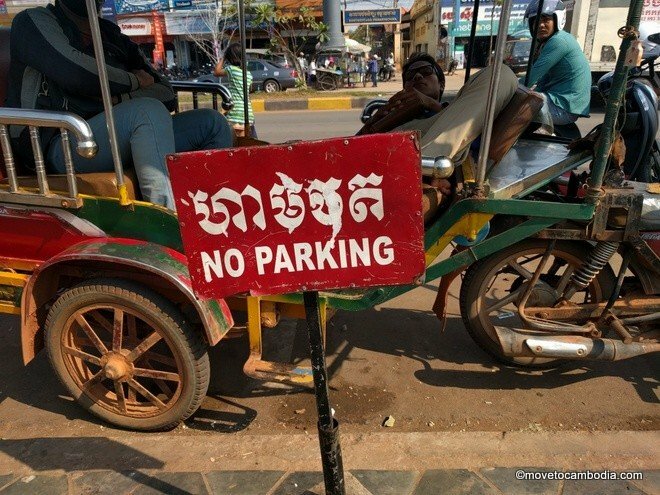 Follow Cambodia’s traffic laws, or you might get fined. Or you might not. The next level of fines—25,000 riel for motorbikes and 50,000 riel for cars—concern overall road safety. 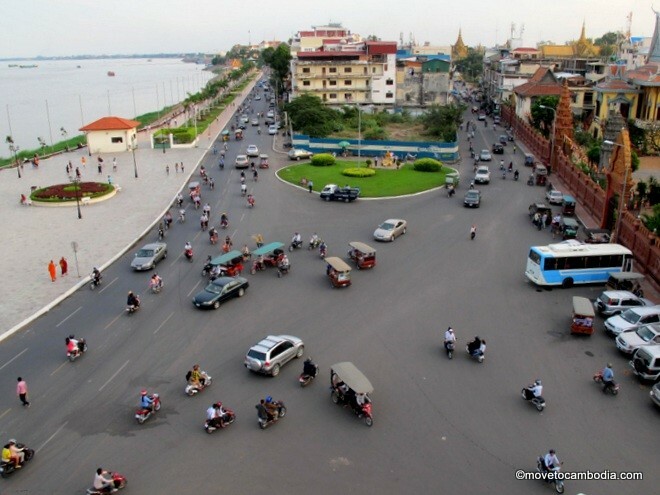 Despite this, they are such common offenses that they practically define the experience of driving in Cambodia: driving or riding in a lane in the opposite direction to traffic, not stopping at red traffic lights, and not stopping to let pedestrians cross at marked crossings. Stand on any busy street corner and you’ll see all three within minutes. Given the swerving cars once the sun goes down, it would seem many are driving under the influence of alcohol. Blood alcohol of more than 0.005 percent makes motorbike riders liable for a 30,000 riel fine, and car drivers paying double. And yet, despite traffic police witnessing tens, if not hundreds of dollars worth of finable offences at any given period of time, for whatever reason they choose to ignore them. Road fatalities appear to be rising, and it is possibly only the slow speeds in Phnom Penh that mean that serious accidents are not a more regular occurrence. Not that any of this should put visitors and expats off from riding and driving in Cambodia; anyone who has been to Manila, Mumbai, or Caracas can attest that ignoring road rules is hardly unique to Cambodia. Just remember to wear a helmet, turn off your headlights (it saves a lot of aggravation, even if it’s not illegal), and watch out for bikes, tuk tuks, bicycle taxis, bullock carts, cars, trucks, and buses heading straight for you. 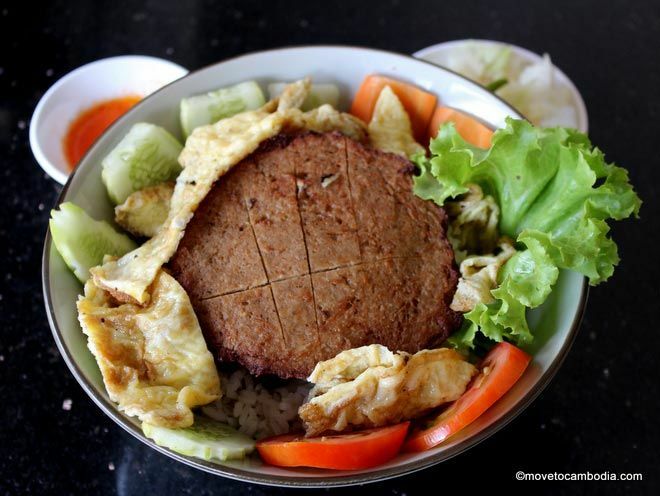 Peter Ford is a freelance writer based in Phnom Penh. Since arriving in 2014 he has explored much of Cambodia, but is always on the look out for the next adventure. 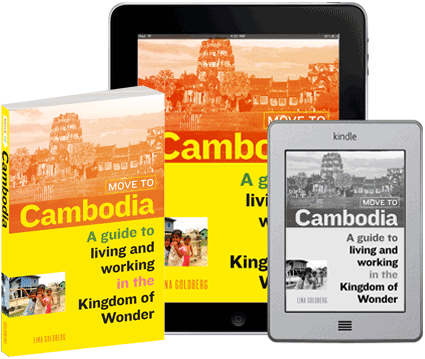 This entry was posted in Expat Life, Transportation and tagged traffic, motos, driving in Cambodia. Bookmark the permalink. TRAVEL…HEALTH INSURANCE. Please note that World Nomads will not insure individuals over the age of 66.